31.8% of population is foreign born. Roughly 75% of the population is under the age of 40. 60 Languages are spoken in a 1.4 square mile. Clarkston is home to recently arriving refugees from Myanmar, Syria, Afghanistan, Somalia, Iraq, and Sudan. Most Georgia bound refugees make their first homes in Clarkston. As you can see, your contributions go a long way in providing religious, educational, and social services to these and future immigrants. The next stage of the construction plan calls for building the perimeter walls and installing the roof. HVAC installation will follow, in Sha' Allah. 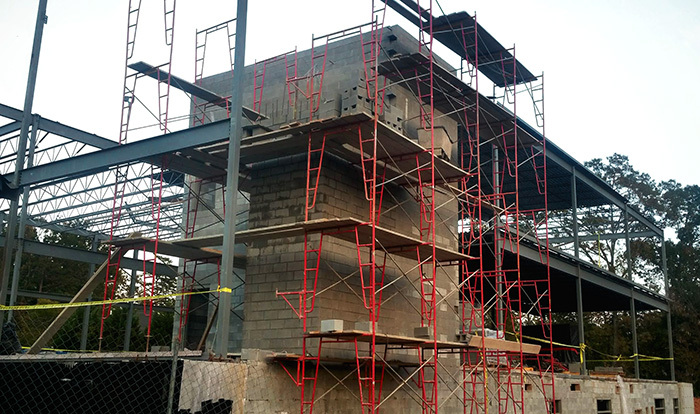 The remaining project cost is estimated at $1.6MM (delays will increase overal project cost). The project's cash balance is fast depleting. We are taking several approaches to raise more funds in order to keep the momentum going on the ground. We cannot do it without your continued support. 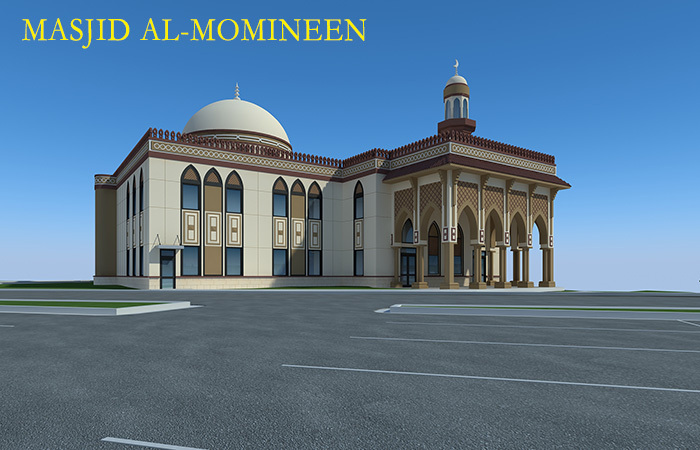 We would like to share two of the ways you can participate in the reward of building a house of worship for Allah SWT. 1) We wish to approach some weatlthy individuals and ask for an interest-free loan or Qharzi Hassana. However, we must provide sufficient evidence that the Masjid will be able to pay off the loans. To that end, we need to enlist many in our auto-debit program (automatic checking or credit card drafts). We have a campaign to generate $30,000 per month in auto-debit donations with commitments for the next 36 months or 3 years. That is to enlist 1,000 donors who are willing to donate $1 a day, or $30 per month for the next 3 years - or any combination thereof (for example, 500 donors with commitments of $60 a month or 300 donors at $100/month). If we manage that, we could prove that we can repay loans as large as a little over $1M. That, we hope, will generate large enough loans to keep the construction momentum going and perhaps to have the new building completed by Ramadan of 2017, in Sha'Allah. So, we ask that you commit to our Auto-Debit program if you have not already. If you are already an auto-debit donor, please increase your regular commitment. Click here to obtain the form. Fill out your checking or credit card information and either mail it to the Masjid PO Box address or hand it over to the Imam at the Masjid. We currently have a total of 60 auto-debit donors donating an average of $50 a month or $3,000. 2) We are also planning a fundraising dinner on Saturday, December 17, @7pm at the centrally located Ashiana Restaurant in Global Mall (intersection of I85 and Jimmy Carter Blvd). Please come with the entire family. Tickets are priced at $20 per adult (to pay for facility expenses). You can obtain the tickets online by clicking here or at the event. Children under 12 are admitted free of charge. Please share this newsletter with your friends and family. Encourage everyone you know to either participate in the auto-debit program or come to the fundraiser. So, we pray to Allah Almighty and ask you, our committed supporter, to help us in this hour of need - as you have done before - as much as you can. We are in immediate need of $200,000 and expect invoices to the tune of $200,000 per month. Click here or here to see the construction photos. If you would like your email id removed from future Masjid communications, please reply to this email with the subject of "Unsubscribe".